These shipping boots are a great alternative to traditional shipping quilts. Improved with the bell boot like bottom and lined in faux sheepskin. 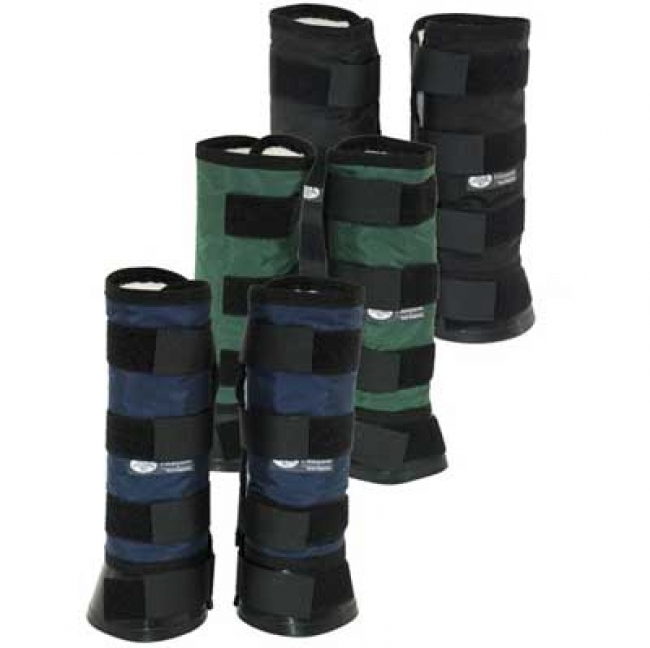 The boots have Velcro closures for easy, fast wrapping that will give your horse the right fit every time. You can choose from four different heights of the shipping boots and use them for front and back legs of a pony or horse according to their size.